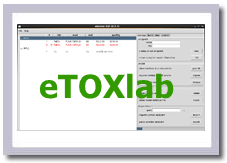 eTOXsys is a powerful system to access the eTOX data and the predictive models. 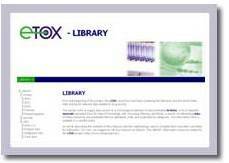 5 releases of the eTOXsys have been launched. The final version includes the 2016.3 Vitic release, a bunch of 200 predictive models, and the Human Outcomes Module integrated, which was designed to support and open a door for translational research from preclinical to clinical research. From the beginning of the project, the eTOX consortium has been screening the literature and the World Wide Web looking for relevant data related to drug toxicity. 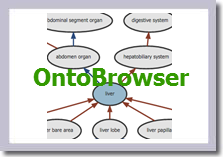 This section aims to supply easy access to a chronological selection of recommended Articles, a list of selected Journals extracted from ISI Web of Knowledge with Toxicology filtering, and finally, a section of interesting Links, where all these resources are presented here by alphabetic order and organized by categories. The information here is updated in a monthly basis. An article describing the contents of this resource and the methodology used to compile them has been published in the Special Issue on Computational Toxicology of the Molecular Informatics journal. Please cite this resource as follows: �The eTOX library of public resources for in silico toxicity prediction� M. Cases, M. Pastor and F.Sanz. Mol Inf 2013;32:24-35. 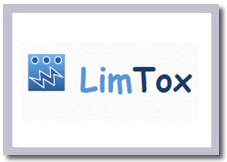 The LiMTox system is a text mining approach that extracts associations between compounds and toxicological end points at various levels of granularity and evidence types, all inspired by the content of toxicology reports. It integrates direct retrieval of associations between compounds and hepatotoxicity through combination of heterogeneous complementary strategies from term co-occurrences, linguistic rules, and text patterns to machine learning based text classification. It also returns relations of compounds and CYPs and compounds and biochemical markers (e.g. liver enzymes). 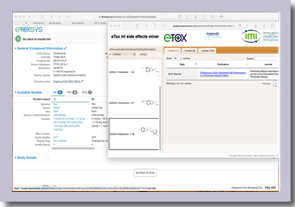 Collector is a tool that allows extracting from the Open PHACTS Discovery platform and the eTOX project series of compounds annotated with experimental data that can be used directly for building QSAR predictive models. Collector implements a flexible collection of filters for selecting the target, the biological data ranges and the physicochemical properties of the compounds. 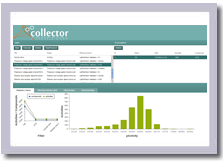 Collector was intended to be installed locally and implements a local database for keeping record of the data extracted. The application provides a web based user a command line user interface. The Standardiser is a tool designed to provide a simple way of standardising molecules as a prelude to e.g. molecular modelling exercises. The tool is available on GitHub. The complete standardisation procedure is available as a Python module along with separate modules implementing each of the individual steps to allow generation of custom standardisation pipelines. The code used by this tool is released under the Apache 2.0 license created by EMBL-EBI. 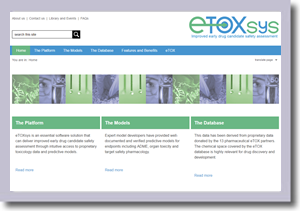 The verification of the models developed within the eTOX project comprises an assessment of (i) the quality of data used to build (and test) the model, (ii) whether the predictions generated by the model when executed in eTOXsys are consistent, and (iii) the completeness of the documentation accompanying the model. This process has been semi-automated by implementing the required checks into a KNIME workflow and results in a more efficient and standardised verification process. 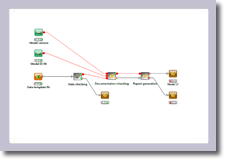 The workflow requires the training data comprising structure ID, SMILES, experimental activity and predicted activity, along with specified outputs from eTOXsys. The result of the workflow is a PDF report that includes the verification status (Verified or Not Verified) and details on all of the verifications checks which were performed.